Your search for a reliable Ladies Coloured Stone Rings Manufacturer, Supplier and Exporter, ends at Venkatramana Jewels. We offer a vibrant collection of Coloured Stone Rings in the market. Available in stones of colours like blue, green, white, our Coloured Stone Rings are available for both men and women. They are available in different designs and standard sizes as per the going market trends. 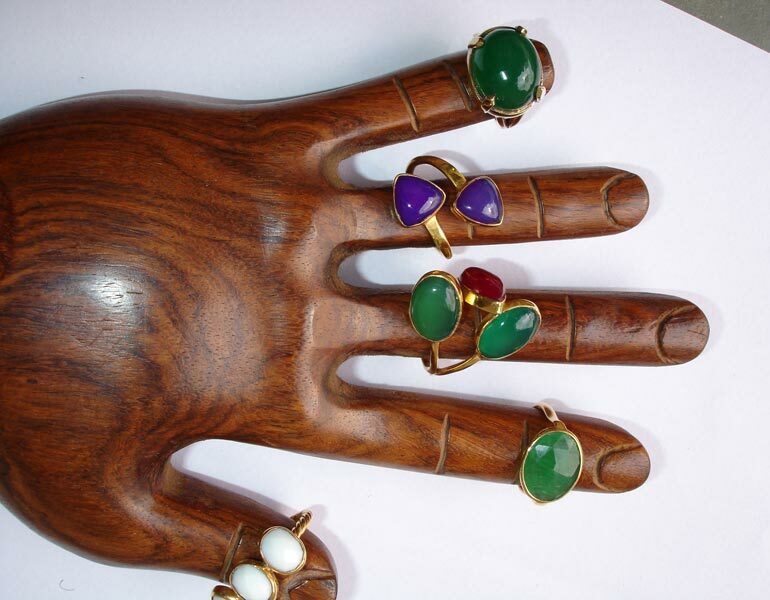 The Coloured Stone Rings have strong metal body with beautiful colourful stones set on it. Place your orders with us and you will also rate us a top Coloured Stone Rings Supplier, owing to our efficiency. Coloured Stone Rings can be bought from us at market leading prices.